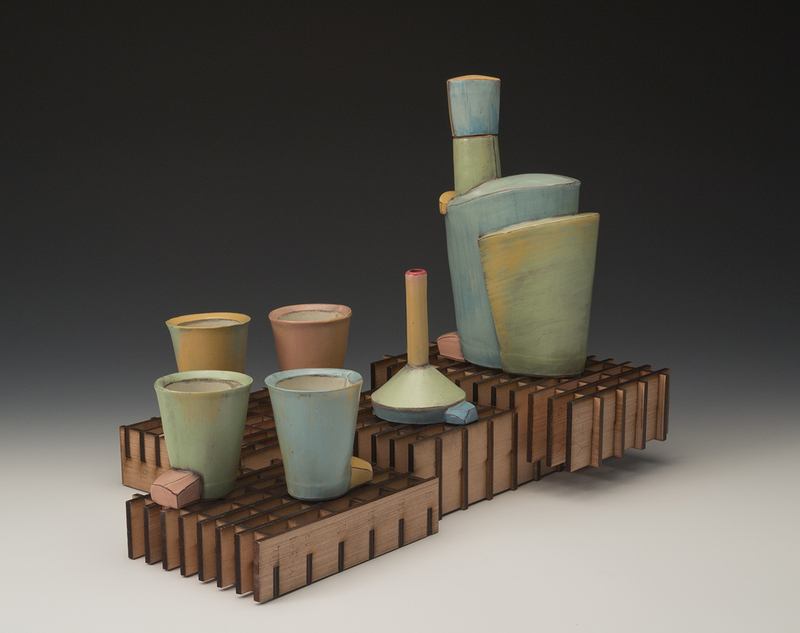 FSU Art Adjunct Professor Marty Fielding will be teaching at Penland School of Crafts October 8-14. This workshop will explore slab building techniques. In it, the group will look at visual and conceptual sources—ceramic and non-ceramic—as starting points for making personal work. Forming techniques will include paper templates, drop molds, and a variety of approaches to handles, lids, and spouts. Surface considerations will emphasize building depth for electric firing, and harnessing the aesthetic and expressive potential of color. We’ll have daily demonstrations and group and one-on-one conversations with an emphasis on creative problem solving. Studio artist; teaching: Florida State University, State University of New York-New Paltz, University of Georgia Cortona Italy Program, Florida Atlantic University; exhibitions: Plinth Gallery (CO), Northern Clay Center (MN), Zanesville Prize Exhibition (OH), Charlie Cummings Gallery (NC); publications: Ceramics Monthly, Pottery Making Illustrated.